It took me about 15 minutes or so. I played around with seams to get the fit right. It's a great new shirt for one of those "I've got nothing to wear" days. I can always count on a dolman! Full Video go here (it's old though). 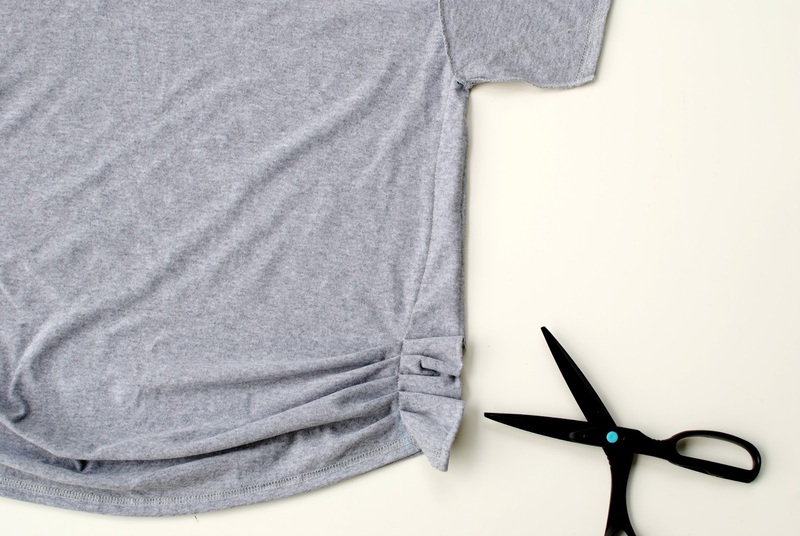 Begin by removing the collar of the shirt, pull to create an off the shoulder look. 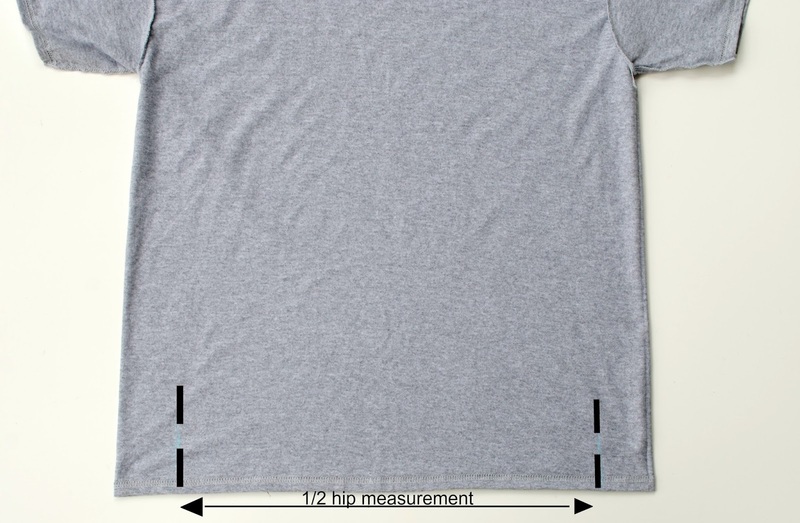 Mark your 1/2 your hip measurement inside the t-shirt so it's even. Pleat about 4 inches up by folding accordion folds and pinning through front and back. Do this on both sides. Mark your arm hole measurement and pin from the under arm seam to that measurement. 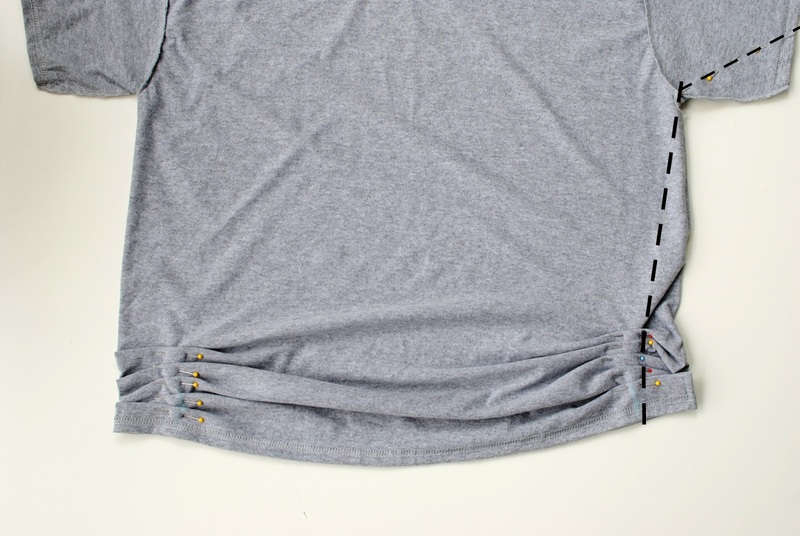 When you sew, start at the bottom hem and sew up to the under arm seam in a gradual line. 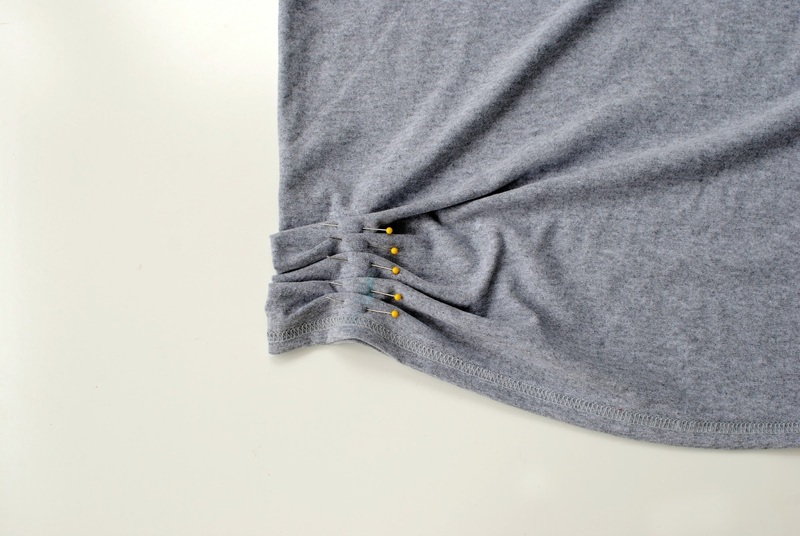 Once you reach the underarm seam, lift your presser foot, pivot, and then finish along the sleeve line the sleeve hem. Cut all the excess interior fabric away or serge the interior. For a video go here. Super cute, I love this!! You are such an inspiration!!! 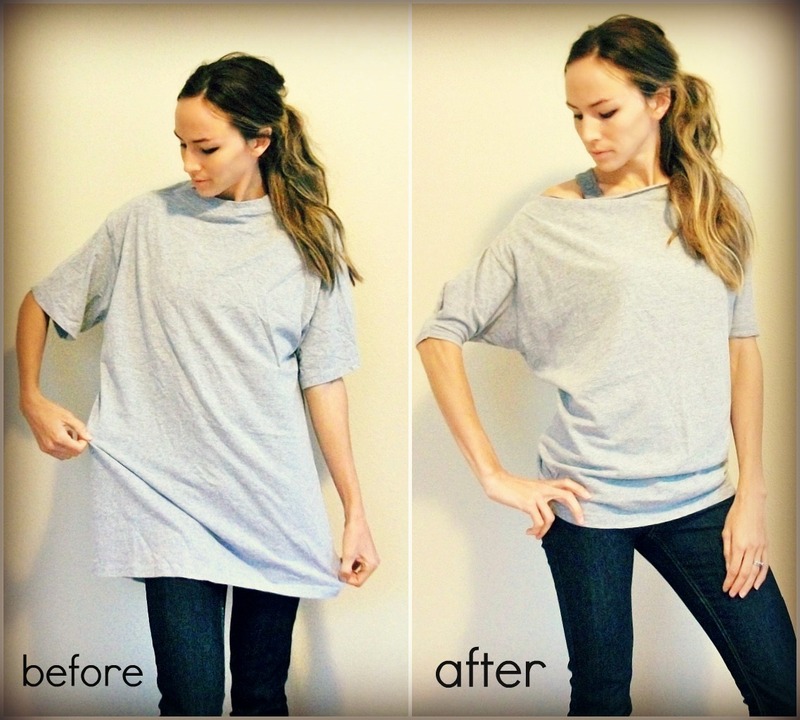 I have been trying to figure out how I'd make a dolman shirt for so long! Thanks! Do you cut the bottom of the sleeves and the top? Love your blog! I want to try this this weekend! Thanks! I tried sewing it by hand with an XL and it was a wretched outcome. I was a bit disappointed. Did you cut some length out of the sides or just shape them? I think that's where mine went awry! Lovely! This looks simple enough for a beginner, right? Thank you for this...found it through pinterest and made it out of a free shirt I got. I appreciated how you showed where to sew on the shirt. Hey, I love this idea and am working on it as we speak. I am so nervous to cut! Should I sew the top of the sleeves before I cut the sides and the bottoms of the sleeves?? Thanks so much!! This is amazing!! I would love to see a video on how it's done. This is my favorite shirt style and this is such a good way to add more to my wardrobe! This is a FABULOUS idea!!! You're so talented and creative. Thanks for sharing! I don't have a sewing machine, can you make me one and mail it to me LOL. I don't even know how to use a sewing machine. I would love to try this though. I think I will get with my sister-in-law and have her help me. Where do I get dye's for T-shirts and what is the cost there? My husband has a ton of xxl t-shirts that no longer fit him and I would like to make two of these. You can teach yourself. I did, just followed my instructions and your book that will come with your machine that you're going to buy. Don't buy a singer they're all crap now. 1. Read how to thread and load your bobbin. 2. Read how to lower and lift your presser foot. 3. 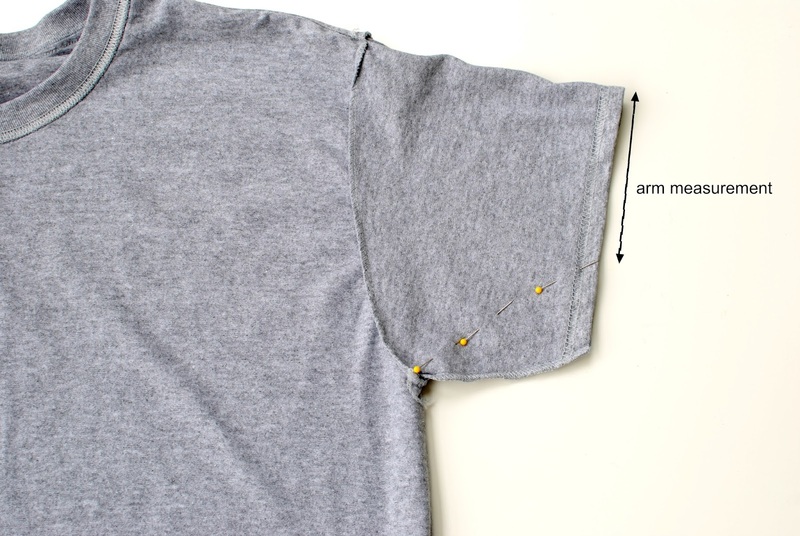 Read how to thread you machine. 4. Read how to lower and lift your needle. 5. Read how to replace your needle. 6. Read how to and where you back stitch. 7. Read about the tention. 8. Read up on your stitch settings, Pinterest or google. Anything you can't figure out google it. Don't forget to lower your presser foot before you start sewing. Okay I think that's it, good luck. First off I wanted to say I'm in LOVE with your work. Second, I wanted to ask, you work a lot with jersey, do you use a straight stitch or a zig zag? Saw this on pinterest and enjoyed reading through some other projects. I have always had an aversion to sewing (bad childhood memories with my mom who is a seamstress), but this is the first project ever that makes me want to try! Any tips for how a beginner could tackle this? You are amazing. I love your stuff. That's a great design idea. This is one of the first T shirts distributors to use this idea! Now there is 100% likelihood that I will have to go to the thrift store and find some cool t-shirts tomorrow. Thank you for sharing! Did it, and LOVE IT!!! Seriously this was so easy!! I am a beginner at sewing this was easy and fast even for me!! THX! I wanted to share with you the shirt I made based on your tutorial. Thanks for the inspiration! Wow I can't believe it. This seems to be quite easy. Must try that! That's soo cool. Thank you very much! I love this! Very creative, especially when it was so big. I recently took a turtleneck and turned it into a cute summer top. It's called The Red Shirt Project for anyone looking to check it out. This is awesome! I have my husband's almost new shirts lying in the closet that he doesn't want to wear 'cause apparently the colors are "too girly." Well good for me as I can turn them all into Dolman t-shirts for myself :) Thank you thank you for this tutorial! That's a pretty neat idea! Will definitely give it a try. Thanks. My husband passed away 3 months ago...and I've been wearing his t-shirts as pi's... When I saw this idea, tears came down my face immediately because now I get to wear my husband's t-shirts all the time, I will try it!!! Hi there. I noticed in the youtube tutorial that your sewing machine is oriented opposite standard machines. Is this a left-handed machine? I like this idea! It is wonderful to bring to life old, unused T-shirts or clothes. Great post! I love your blog about sewing and styling.This is really useful post.Thanks for posting useful information about sewing. Nice post, Thanks for sharing......! Gorgeous idea! I have few favorites among my husband's old tees that would look so great recycled into women's tee for me. Thank you for the inspiration! this is so cool!! Buy fashionable women's t shirt at best price shop now with crazybeta. A men's Formal shirts is one of the most flattering articles of clothing in your wardrobe, but wearing it every day can be hard to pull off if you don't work the right job. 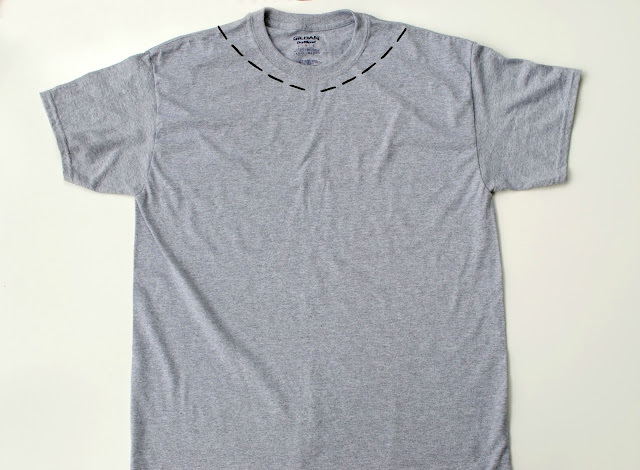 Love this T-shirt make over DIY project. Looks so clear to follow. Thanks a lot. Love this T-shirt, Buy Designer T-shirt Online at Sowing Happiness. Some of my old clothes have a usage now. Thanks for your diy tutorial.. So cute. I love this DIY tutorial. Hey! This is great idea to transform old men t shirt into women tee. I will bookmark this for future. Are you seeking to purchase Stag T Shirts then visit Bludog. This diy tutorial is wonderful. You are a champion. Such a creative soul. I am also going to redo my old t-shirt into new one like this! TSM! Have you tried Zucchini For Weight Loss. It is extremely healthy and quite beneficial for losing a decent amount of weight while giving your body proper nutrition. Fabulous work and had a more creativity in this work. Online shopping is saving so much time to buy a particular product. But can I found peacock mandala online? Great blog but can you help to find information about Mandala yoga? I was looking for articles on shirts in India and I came across yours inspiring read. Great post! Your Idea is very good and I really enjoyed it so much while reading your article. But do you have an idea about Dreamr crypto currency? Xtreme Fitness is one of the leading online store offering designer gym wear mens as well as women in the USA. This portal is very popular for its best services. Here an individual can buy attractive women's fitness wear with wide varieties. Your ideas are really amazing. It is good way to recycle our waste clothes. To know about the greatest show on earth isle of man visit my website. Your ideas are really amazing and helpful. It is good way to recycle our waste clothes. To know about the greatest show on earth isle of man visit my website.